Sommer-Neuzugang Nummer 13 gibt sich die Ehre. Vor wenigen Stunden sicherte sich der SVD die Dienste des slowenischen Angreifers Roman Bezjak vom kroatischen Klub HNK Rijeka. Sowohl in der Liga als auch in der Qualifikation zur Europa League agierte er nach der Sommerpause sehr treffsicher. Mit Ludogorets Razgrad gewann Bezjak drei Meistertitel. Mit den Bulgaren spielte er auch in der Champions League (s. Bild in grün, im Duell mit Reals Raphael Varane). Zuletzt gelang dem Slowenen die Rückkehr in die Nationalelf. Nejc (@sloveniafooty) aus Slowenien und Vlado (@RijekaTransfers) aus Rijeka beantworten meine Fragen zu dem Neuzugang. Demnach wäre er mit seinen Fähigkeiten ein Gewinn für die Lilien. Eine deutsche Zusammenfassung gibt es am Ende. Roman Bezjak is the new striker of Darmstadt 98. According to the media the Lilies will pay up to two million Euros for him. Never before has Darmstadt 98 invested more money for a new player. Nejc and Vlado, what do you think: Is he worth the money and is he at the age of 27 ready for the Bundesliga after his spells in Slovenia, Bulgaria and Croatia? Nejc: I think he is ready to play Bundesliga football and worth the money. Despite his lack of experience with a better domestic league, he already played Europa League and Champions League with Ludogorets and in 2013/14, he scored six goals in Europe League Group B, which included PSV and Dinamo Zagreb. Ludogorets ended up winning the group, knocked out Lazio in the next stage (with Bezjak scoring two vital goals), but then lost to Valencia in last 16. Bezjak was one of their best performers at that time. Werder Bremen apparently even made an offer for him, but Ludogorets were asking for no less than €10m. Bezjak then had a pretty poor next season and he ended up being released, as his contract expired. Vlado: … and Rijeka signed him on a free as a consequence. What kind of striker is he? What would you name his strengths and in what respect does he need to improve? Nejc: Roman is mostly a goal poacher, but can drop deeper or to wing if he is needed there. He uses his size well to protect the ball, does well in air, is a good finisher, even from outside the penalty area and is not afraid to tackle either. Passing is not his strongest side and he could perhaps try to dribble more, as he is rarely dribbling despite being successful at it. Vlado: I mainly agree with Nejc, with one exception: dribbling skills. For Rijeka fans, however, no one would have been able to fill the shoes of Kramarić in that regard. In any case, I would argue that Bezjak’s dribbling skills are his only real weakness. He is also not the best with headers, or at least he hasn’t scored many. I do recall him missing quite a few. He does score a lot coming diagonally from the side, say from 8-12 meters, he tends to find the tiniest gap. He scored many goals like that. In terms of real strengths, I have to mention his pace and fitness levels. I have been following Rijeka since the late 1980s (as a small kid) and I don’t remember a player with that kind of fitness level. Full 90 minutes, he does not stop. I recall one game last season, we gave possession away near the opponents‘ goal and they went on a counterattack. Bezjak sprinted back and tackled the opponents‘ player from the back around 40 meters away from our goal (they were say 3 on 3, it could have been dangerous)… then he took the ball without a foul, and after 2 or 3 „one-twos“ with another player, got himself in a scoring opportunity (and missed by a few inches, unfortunately). This all happened in a matter of 15-20 seconds. I was amazed. Bezjaks debut for Slovenia was in 2013. Since then he has managed to add just eleven caps. Why so few? Nejc: Köln legend Milivoje Novakovic is still active for Slovenian national team. Then there are also Robert Beric of Ligue 1’s Saint Etienne, Augsburg’s Tim Matavz and Fiorentina’s Josip Ilicic also occasionally plays in attack, so there is plenty of competition. Vlado, you already mentioned Andrej Kramaric. Bezjak joined HNK Rijeka last summer, where he replaced Kramaric, who left the club for Leicester six months before. In the meantime Bundesliga fans know him, since he plays for Hoffenheim. Did Bezjak manage to replace him in Rijeka in an appropriate manner? Vlado: Yes and no. They are very different players, but both had an amazing goal-scoring record. Krama was a goal-machine, absolute pleasure to watch on and off the ball, for us, he was one in a million. If you look at the statistics (1. HNL only), Krama scored 37 goals in 42 apps, while Bezjak scored 20 goals in 39 apps. Krama’s numbers are unmatched by any Rijeka’s striker in the club’s history. Bezjak’s are very high (>0.5 gpg) compared to most past strikers. In addition, during the second half of the 2015/16 season, Bezjak mainly played as a winger after the arrival of Mario Gavranovic. While he scored eleven goals during the first half-season, in the second half-season, when he played on the wing, he only scored two goals (Gavranovic scored seven). His role was very different. He was the leader of „hunting in packs“ against opposition defenders and midfielders, in other words applying pressure in order to force a mistake. To add a bit more statistics, while he scored less after the arrival of Gavranovic, he made four assists (compared to one in the first half-season). This season he has been in an amazing form, scoring seven goals in seven league games (and two assists), plus two goals in the Europa League. Three goals were from the penalty spot, which has been a great relief after we missed all four penalties last seasons what probably cost us the league title. All in all, Bezjak more than exceeded my own expectations both on and off the field and I do think that we will miss him a lot. Speaking of Gavranovic. In 2010 Gavranovic joined Schalke as a very young striker and played rather unlucky there as well as in Mainz. He would have been a typical Darmstadt-deal since he failed once and I imagine he would have liked to prove his critics wrong. If you compare Bezjak and Gavranovic, who is better right now? Vlado: Again, very different players, so it is very hard to judge. I think that they complement each other really well. Bezjak is fitter and faster while Gavranovic is a better dribbler and scores incredible headers. Their shooting is more or less on par and they’re both excellent poachers and give good assists. Overall, I would rate them fairly equally. Do you know if there have been other clubs who were interested in Bezjak this summer? Nejc: I have heard of an interest from Turkey, but I don’t know which club(s). Vlado, Nejc, thank you so much for your priceless and prompt information. 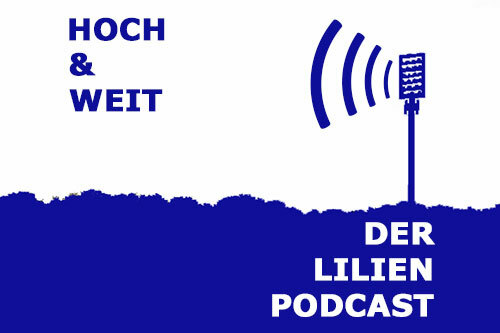 Beide Interviewpartner sind der Meinung, Bezjak sei reif für die Bundesliga und die Ablöse wert. Bei Ludogorets Razgrad sei er ab 2012 Leistungsträger gewesen. Werder Bremen soll Interesse gezeigt haben, Razgrad habe allerdings 10 Millionen Euro Ablöse gefordert. 2014/15 spielte er eine schwache Saison, weshalb er danach ablösefrei zu HNK Rijeka wechselte. In der Nationalelf sei laut Necj die Konkurrenz im Angriff groß, weshalb er sich dort noch nicht durchsetzen konnte. Bezjak sei ein Torjäger, der den Ball gut behaupten könne. Er verfüge über einen guten Abschluss, auch von außerhalb des Strafraums. Über seine Dribblings und Kopfballstärke haben beide Interviewpartner unterschiedliche Ansichten. Rijeka-Fan Vlado meint, Bezjak treffe häufig, nachdem er diagonal in den Strafraum eindringe, dort fände er die kleinsten Lücken. Vlado hebt besonders Bezjaks Geschwindigkeit und seine außergewöhnliche Fitness hervor. Bezjak sei sich auch nicht zu schade nachzusetzen und könne Druck auf die gegnerische Defensive ausüben, um diese zu Fehlern zu zwingen. In Rijeka war er Nachfolger von Andrej Kramaric, der jetzt in Hoffenheim spielt, an dessen Klasse Bezjak jedoch nicht heranreichte. Dennoch habe Bezjak in Rijeka in mehr als jedem zweiten Spiel getroffen. Nachdem der Ex-Schalker Mario Gavranovic nach Rijeka kam, sei Bezjak auf dem Flügel aufgestellt worden. Dort habe er seltener getroffen, aber mehr Tore vorbereitet. In der aktuellen Saison sei Bezjak bislang in bestechender Form gewesen und ein sicherer Elfmeterschütze. Rückbetrachtend habe Bezjak die Erwartungen von Rijeka-Fan Vlado übertroffen, er werde ihn vermissen. Zuletzt sei Bezjak gerüchteweise mit türkischen Klubs in Verbindung gebracht worden.